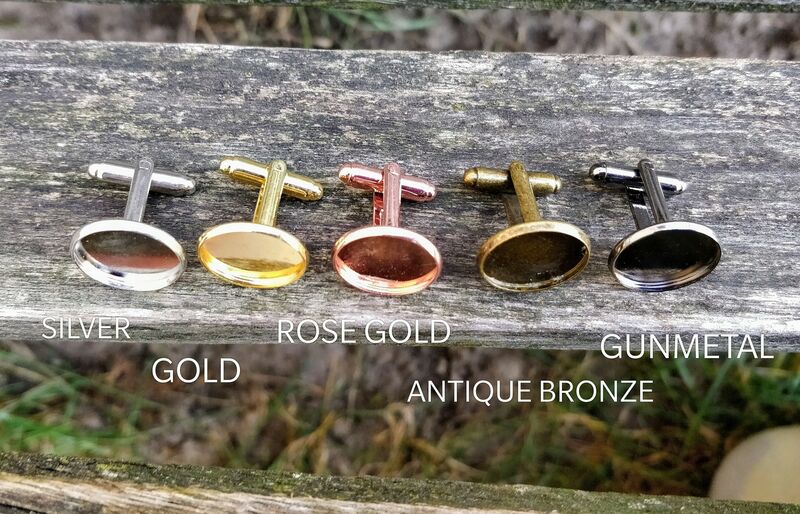 Cufflink Color Gunmetal Black Silver Cufflinks Gold Cufflinks Rose Gold Cufflinks Antique Bronze Cuff. 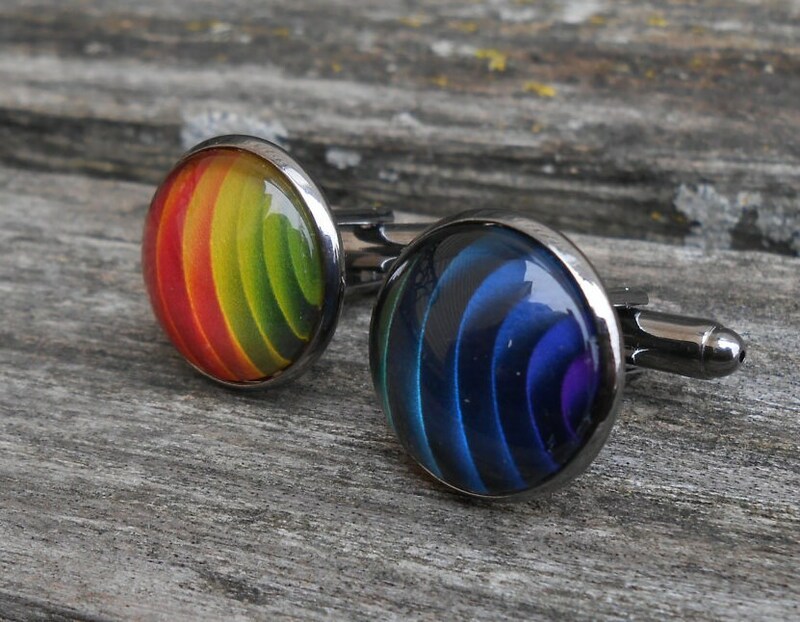 These unique cufflinks are perfect for anyone, at any time of the year! 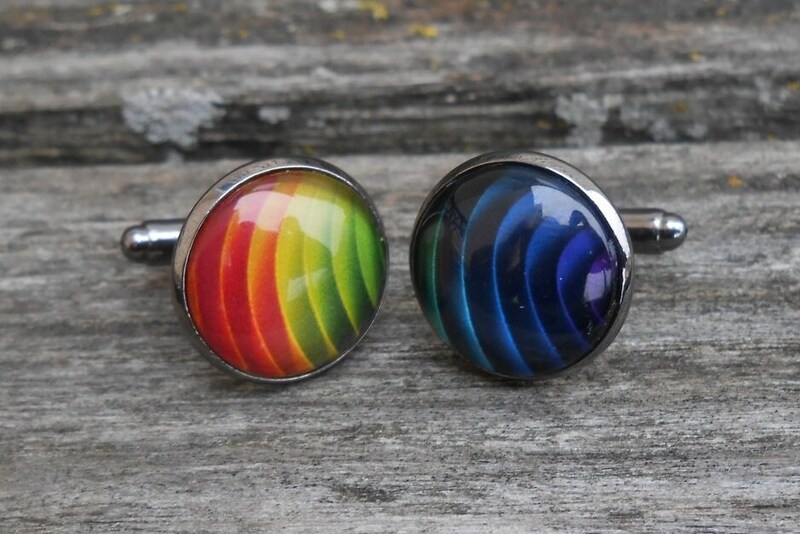 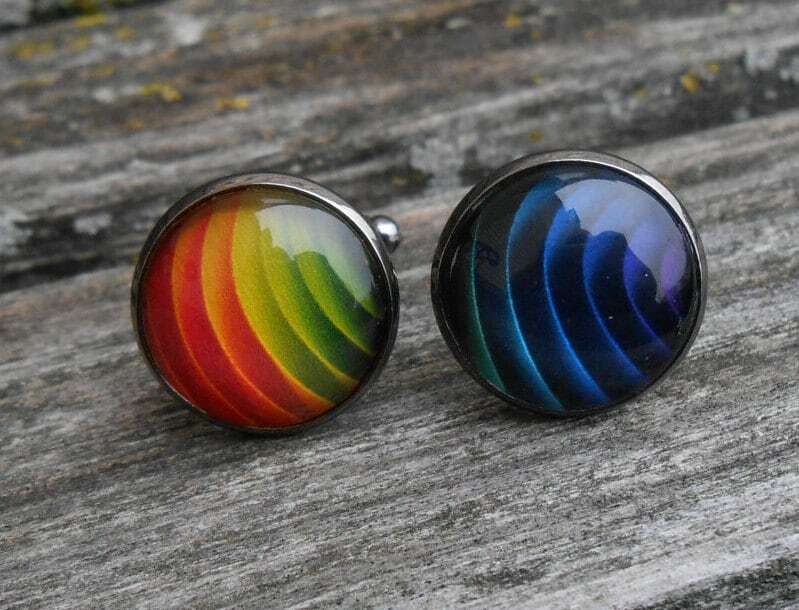 They have a rainbow pattern across each cufflink. 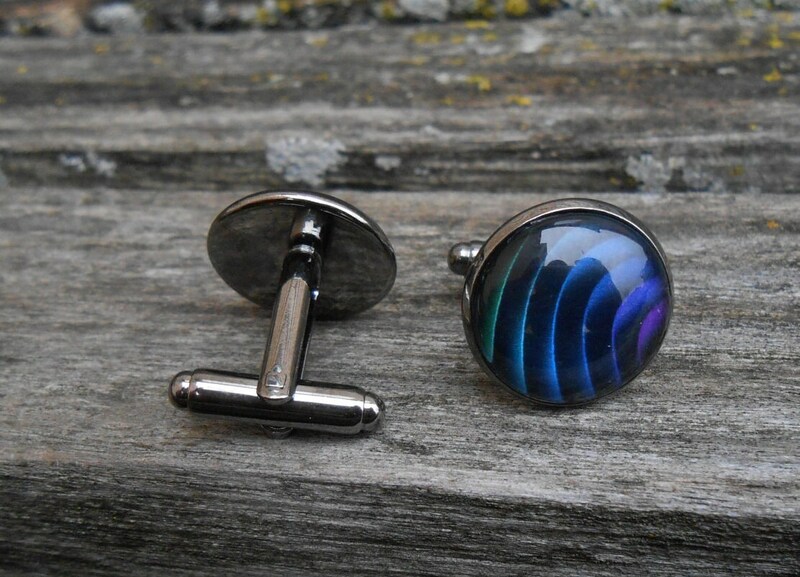 They would make a great gift for a wedding, for a Christmas gift, for Father's Day, or a birthday. 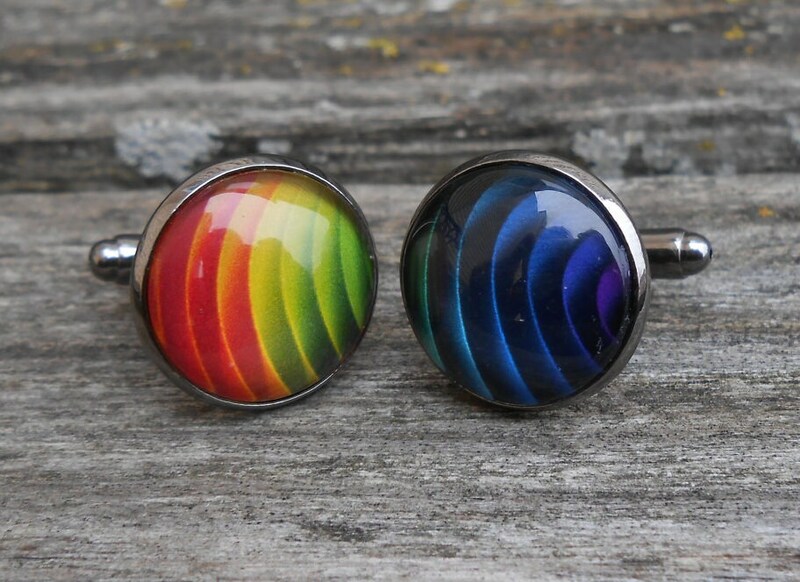 At checkout, please select if you want gunmetal black, silver, gold, rose gold, or antique bronze.